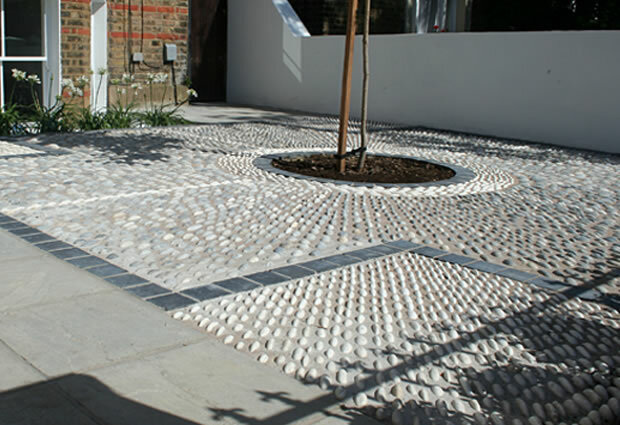 This garden design East Dulwich SE22 was for me a great experience. 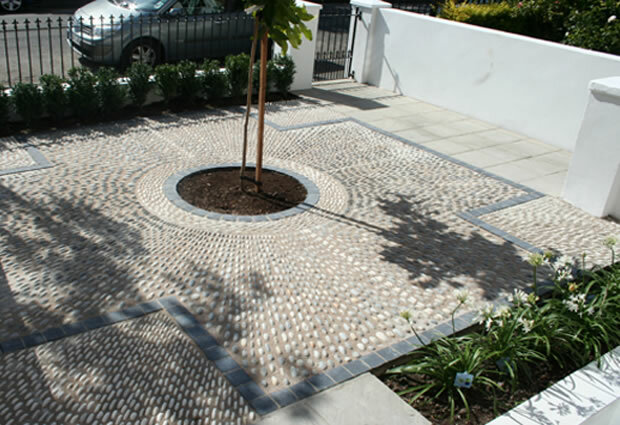 We had been thinking about working in a mosaic style formal format, inspired by those fantastic Islamic courtyards but bringing in contemporary themes for some time.My client initially had the idea of a formally designed patio terrace using York stone. 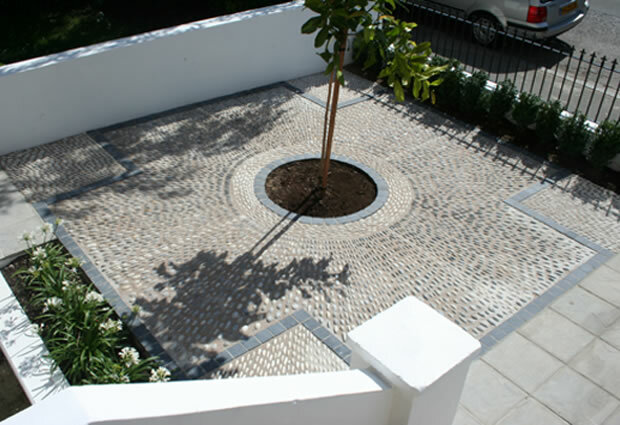 I came back with the concept outline design, and then introduced the idea of using pebbles and sets, the symmetry and proportion of the garden a key factor in this development. I showed how this would work creating a test patch, and experimented with sizes and colours. Also inspired by sundials and the shadow effect ; this led us to create the radials using pebbles on edge to catch the sun. The terrace ripples in the light always changing. 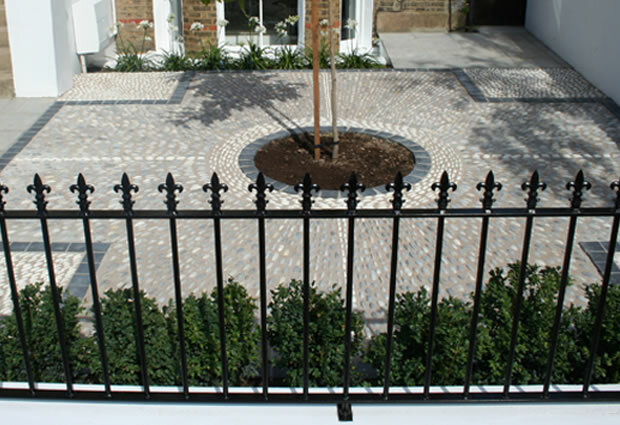 The bespoke designed and built garden railings and rendered wall front the garden. If you are walking down Crystal Palace road in East Dulwich and find it, let me know what you think ! “The guys at London Landscaping did a great job , each and every one of the team were great and a pleasure to have around . The work they have recently completed for me was fantastic and i highly recommend them .